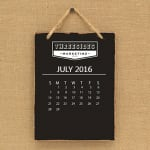 What’s been happening this month in the world of digital and content marketing? Let’s see, shall we? Snapchat’s been a fun way to see how your face would look on someone else’s body, but it’s increasingly gaining momentum as a viable engaging marketing platform for brands. Another month, another Facebook change. By now, you’ve all seen the changes to Facebook’s “like” button. We’re really excited also by the new Full-Screen ads released by Facebook called “Canvas”. Things over in Google Ads Land have been keeping busy too. Google’s done away with their right hand side ads, pushing placements 5 and below to the bottom of the page. mUmBRELLA explores what this means for advertisers. YouTube has released its new custom blurring tool that goes a step beyond pixelating a still object by blurring a selected moving object. The stats are in from AdRoll’s 2015 ANZ State of the Industry Report and largely tells us what we already know – attribution is a key concern for Australian and New Zealand marketers and they are being held to a “higher standard of measurement and accountability than ever before”. Instagram got the memo that Twitter received long ago – account switching is now possible, meaning you can switch from account to account as you please. Need to create a graphic on the run? Adobe Post is a new mobile app that helps you “Create stunning social graphics in seconds”. How often does a brand need a makeover? If you’re tweaking regularly and there’s been no dramatic changes to your company, major changes might be unnecessary according to B&T. Twitter launches “Moments”, a curated stories platform. While we wait for the brand-sponsored version to roll-out, we’re happy to perve on pictures of cute quokkas in the meantime. Pinterest may be the procrastination platform of choice for some, but it would seem 38% of Fortune 500 companies are using that procrastination time for profit. And something fun: Can you spot the 11 Photoshop errors in this image? And does it make you want to buy a Snickers?